Root Canal therapy, also known as Endodontic treatment, is simply removing the center portion/pulp of the tooth. 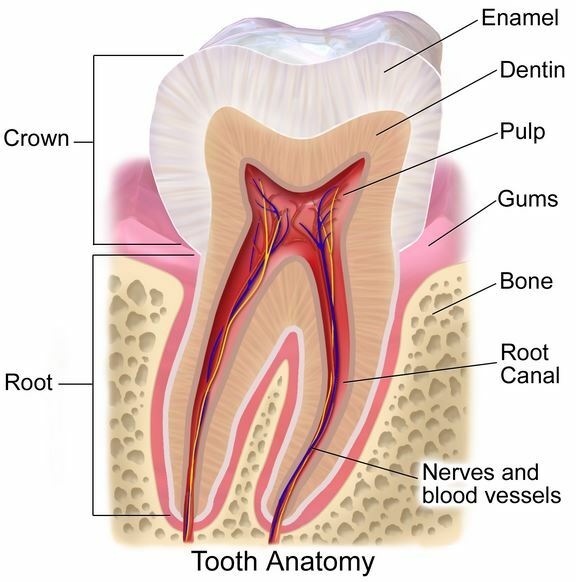 Many times a root canal is indicated when the tooth is painfully sensitive to hot or cold, discoloration of the tooth, or swelling or tenderness to gums. Without the pulp, the tooth will have no discomfort as the pulp consists of the nerves and the blood supply to the tooth. Multiple dental procedures on a single tooth. During root canal therapy, the dentist gently removes the infected pulp, cleans the space where the infection was, and seals the area. If the Dentist thinks there is too much infection, medication will be placed into the canal space to help remove bacteria from the tooth and a temporary is placed to protect the tooth. After a few weeks the dentist will complete the root canal. If you notice severe pain or prolonged sensitivity in a tooth from hot, cold, chewing, discoloration of the tooth, or swelling around the tooth.